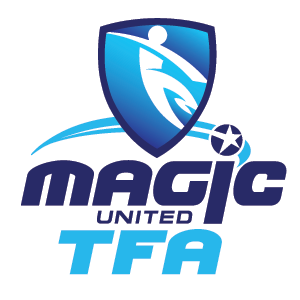 Magic United TFA is committed to developing players who will continuously grow and challenge themselves in the quest for excellence. We provide development that inspires and equips them with skill, strength and competence that will guide them to long term success in football. We see grass roots football in Australia going to a new level, raising future football leaders who will change the game. Our parents handbook is available here to download, containing information about club policies, communication etc. Magic United have a very strong anti bullying policy. As soon as an incident is reported it will be been actioned, researched and addressed. Please view the link to view the Respect Codes of Conducts for Junior Players, Parents, Spectators, Coaches and Managers. As part of the My Football Club registration process with Magic United Parents & Players have to tick the terms and conditions and agree to abide by them. Every player that joins Magic must agree to abide by the code. It is important that each Family views this document. This document of the Code of Conduct is also available to view at the Club house. If an incident occurs it must be reported immediately to the Club Protection Officer Adem Poric. If an incident is not reported and Magic United coaches have not seen an incident occur it is very hard for the Club to action. Please feel free to contact Adem or Phillippa (Club Secretary) if you wish to discuss any matter regarding the above or to report an incident. Bullying has no place at Magic United and we hope we have the full support of all our members to stamp bullying out of the game.